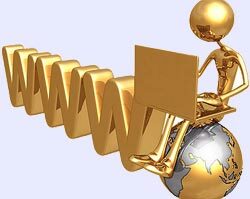 LogicLink has a number of different solutions to meet your web site hosting needs. We provide hosting on high speed LINUX and NT servers, which are very stable and monitored 24 hours a day. LogicLink also offers reseller packages and dedicated servers for web designers and small web hosting companies. Please contact us for custom packages. LogicLink provides hosting on two types of servers. Provide Affordable Web Hosting Solutions for start-ups and small business. Provide Business Class Web Hosting for medium to large enterprises. Linux & Windows Operating Systems are installed on Economical & Premium servers. Customers can chose any operating system according to their requirements.